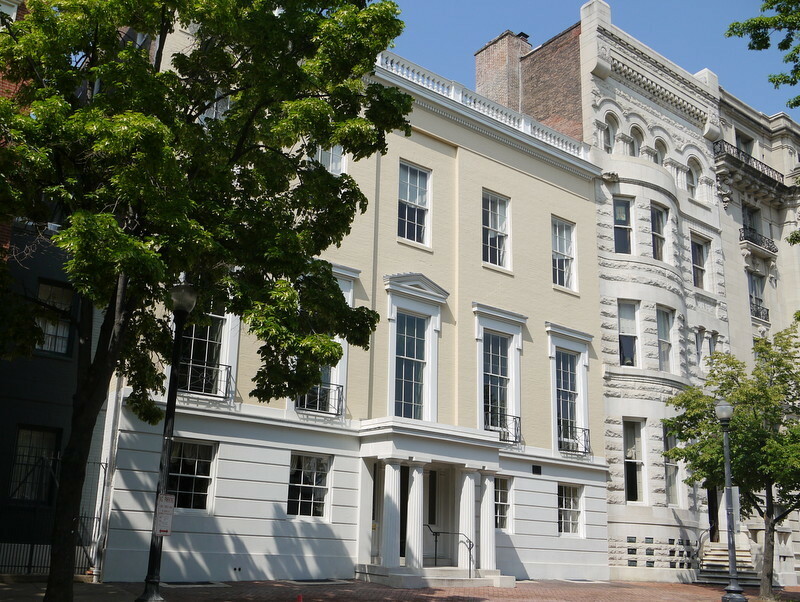 Built around 1842, the Mount Vernon Club is one of the oldest homes on Mount Vernon Place. Previously known as the Blanchard Randall House and the Tiffany-Fisher House, the home was built by William Tiffany, a wealthy Baltimore commission merchant. The building is a fine example of the Greek Revival architectural style and set a high standard for the new homes being built around the Washington Monument. 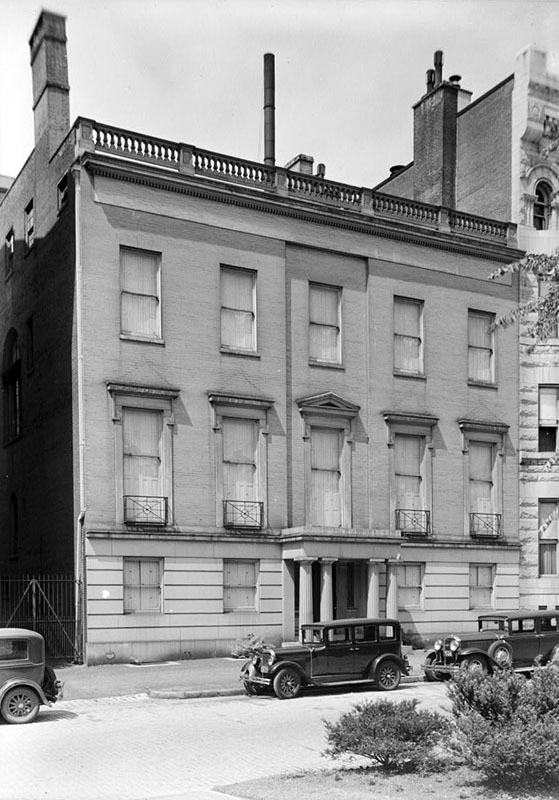 In 1941, The Mount Vernon Club, previously located across the street at 3 West Mount Vernon Place merged with The Town Club in the Washington Apartments and purchased the property, then home to Mr. Blanchard Randall, to serve as their club house. The Club has remained at the property through the present. “Mount Vernon Club,” Explore Baltimore Heritage, accessed April 19, 2019, https://explore.baltimoreheritage.org/items/show/86. Published on May 5, 2012. Last updated on Nov 27, 2018.